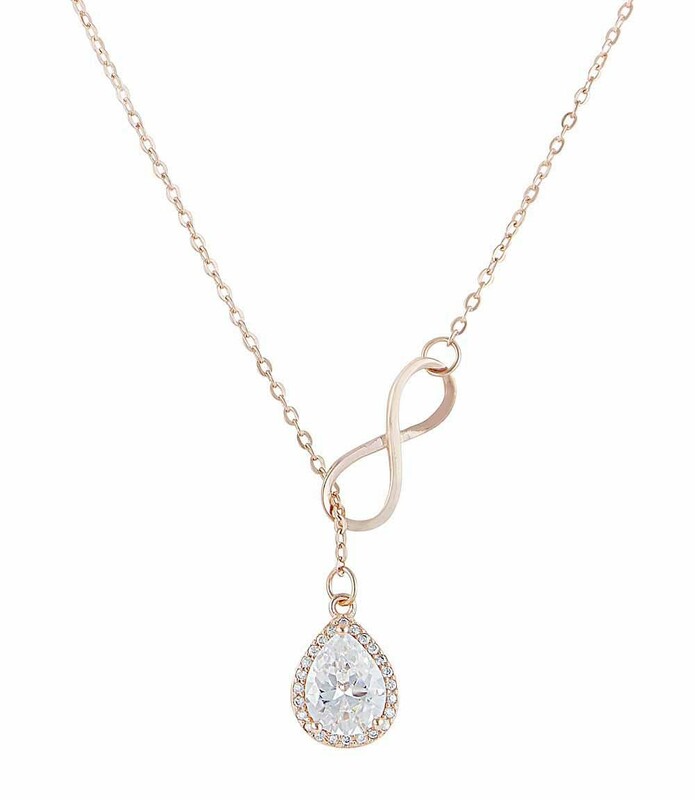 A unique and beautiful Teardrop Rose Gold Infinity Necklace from our popular Infinity collection. 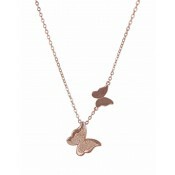 This delicate necklace features a crystal teardrop dangling from a sterling silver plated chain with rose gold. 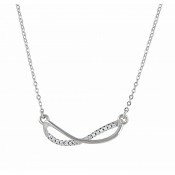 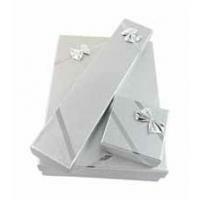 The necklace is also finished off with an infinity clasp that allows for ultimate customisation. 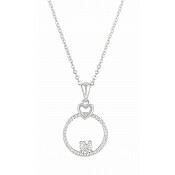 A perfect classy necklace for making a statement with any outfit.